Every now and again, FoodiePDX likes to honor Portland’s culinary roots by diving into a little local history. On the site PdxHistory we came across a particularly interesting story that connects Portland’s amusement past with its culinary present. Now, if you grew up in Portland, you might know of a time when Jantzen Beach wasn’t just a Shopping Center, it was an Amusement Park. 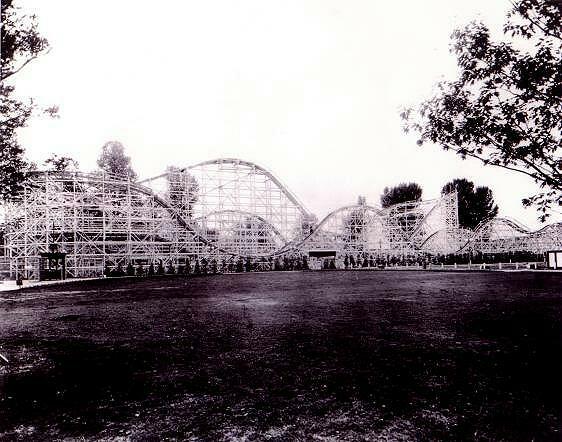 In fact, when the Jantzen Beach Amusemet Park opened in 1928, it was the largest in the country. 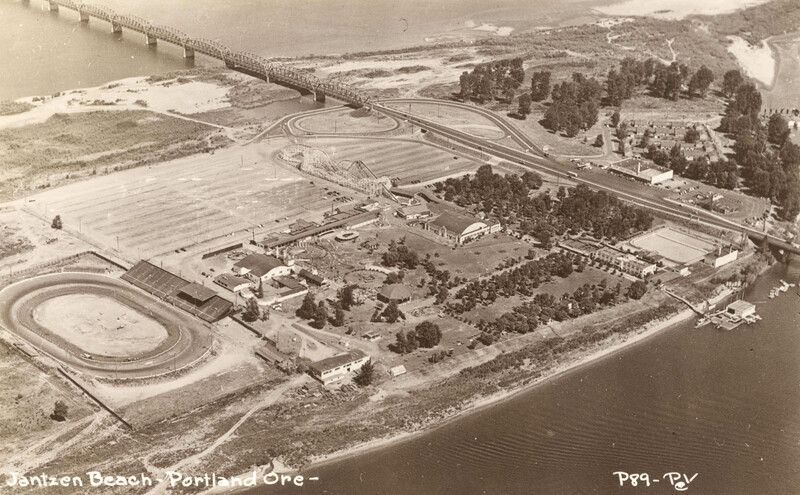 The park survived the 1948 Vanport Flood but closed in 1970 due to diminishing revenues. The rides were sold and dismantled and the wood from the Big Dipper was salvaged to build a small warehouse on SE 22nd and Division. Later, the warehouse was torn down and the wood was sent to the Rebuilding Center when Ken Forkish acquired it in about 2008. 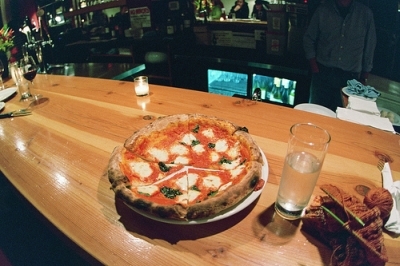 Ken, owner of Ken’s Artisan Pizza, used the wood for booths, tables and chairs at his SE 28th avenue location. Stop by, have a look, enjoy a great pizza while appreciating some truly interesting local history. This entry was posted in Updates and tagged Jantzen Beach, Kens Artisan Pizza, Portland. Bookmark the permalink.